Enter the ranks of the Undead Flesh and reveal your devotion to the Bone Queen with the Undead Armour Bracer and Greave Set. 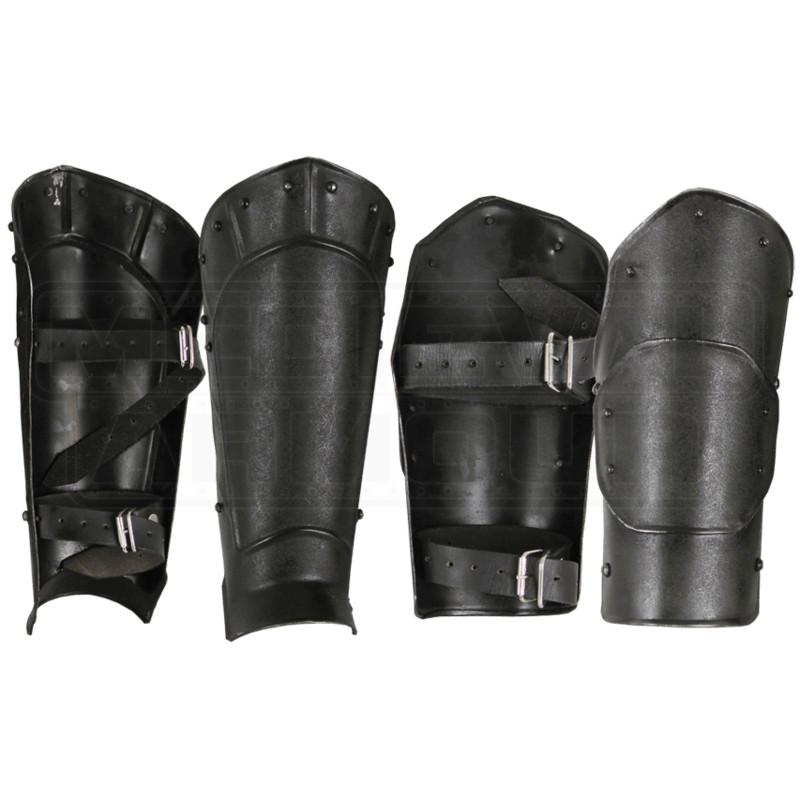 This armour package offers protection to your arms and legs during regular LARP and ConQuest events. A Dark Metal finish gives these steel armour pieces a rugged, textured look, while increasing resistance to rust and scratches. This set comes with matching pairs of arm bracers and greaves. Rolled edges and rivets aid in the deflection of blows, while adjustable buckle straps create a secure fit. An extra plate reinforces the center of each arm bracer, while offset ridges decorate the greaves.